Extra Freeview channels are today being rolled out in Sheffield and North East Wales, enabling viewers to receive more in HD via an aerial. During the day, an extra multiplex of channels goes live at the Sheffield (Crosspool/Tapton Hill) transmitter and at the Moel-Y-Parc transmitter serving North East Wales. The service is only for viewers with Freeview HD or YouView devices, who can already receive BBC One HD on channel 101. These are the latest areas being added to the coverage area of extra Freeview HD channels; the roll-out of which began last November. In both areas, some viewers have reportedly been able to watch the extra HD channels from alternative transmitters until now. The coverage boost will make reception easier for more households. The extra channels are BBC Four HD, CBeebies HD, BBC News HD, Al Jazeera English HD, Community HD and the standard definition channel Al Jazeera Arabic on channel 84. 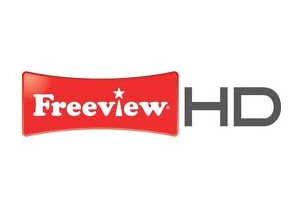 Viewers who already have Freeview HD should retune to get the extra channels. Via manual tuning, the extra multiplex of channels (known as "COM7") is available on UHF channel 31 (554 MHz) via Sheffield's transmitter or UHF channel 32 (562 MHz) from Moel-Y-Parc in North East Wales. The roll-out continues next month, when transmitters serving Carlisle, Kilmarnock, Plymouth and Stoke-on-Trent go live.